The topic today in this group theory thread is “sixtors and representations of the Lorentz group”. 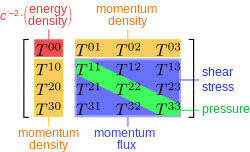 Consider the group of proper orthochronous Lorentz transformations and the transformation law of the electromagnetic tensor . The components of this antisymmetric tensor can be transformed into a sixtor or and we can easily write how the Lorentz group acts on this 6D vector ignoring the spacetime dependence of the field. are the electromagnetic main invariants. So, complex geometry is a powerful tool too in group theory! :). The real and the imaginary part of this invariant are also invariant. The matrices of 2 subrespresentations formed here belong to the complex orthogonal group . This group is a 3 dimensional from the complex viewpoint but it is 6 dimensional from the real viewpoint. The orthochronous Lorentz group is mapped homomorphically to this group, and since this map has to be real and analytic over the group such that, as Lie groups, . We can also use the complex rotation group in 3D to see that the 2 subrepresentations must be inequivalent. Namely, pick one of them as the definition of the group representation. Then, it is complex analytic and its complex parameter provide any equivalent representation. Moreover, any other subrepresentation is complex conjugated and thus antiholomorphic (in the complex sense) in the complex parameters. 1st. Mathematical simplicity. is an algebraically closed filed and its representation theory is simpler than the one over the real numbers. Real representations are obtained by going backwards and “inverting” the complexification procedure. This process is sometimes called “getting the real forms” of the group from the complex representations. 2nd. Quantum Mechanics seems to prefer complex numbers (and Hilbert spaces) over real numbers or any other number field. However, it is not true due to the Nature of Maxwell equations and the (apparent) absence of isolated magnetic charges and currents! and so for proper rotations. This excludes spatial reflections or parity transformations P, that in fact are important too. Parity transformations act differently to electric and magnetic fields and they have . Parity transformations belong to the group of “improper” rotations in 3D space. This observation is related to the fact that the proper Lorentz group and the complex rotation group are isomorphic to each other as Lie groups, i.e. . This analogy and mathematical result has some deeper consequences in the theory of the so-called Dirac, Weyl and Majorana spinors (quantum fields describing fermions with differnt number of independent “components”) in the massive case. Remark: Lorentz transformations/boosts corresponds to rotations with an “imaginary angle”. and this matrix would belong to the real orthogonal group . Note the symmetry between electric and magnetic fields hidden in the sixtor/bivector approach!